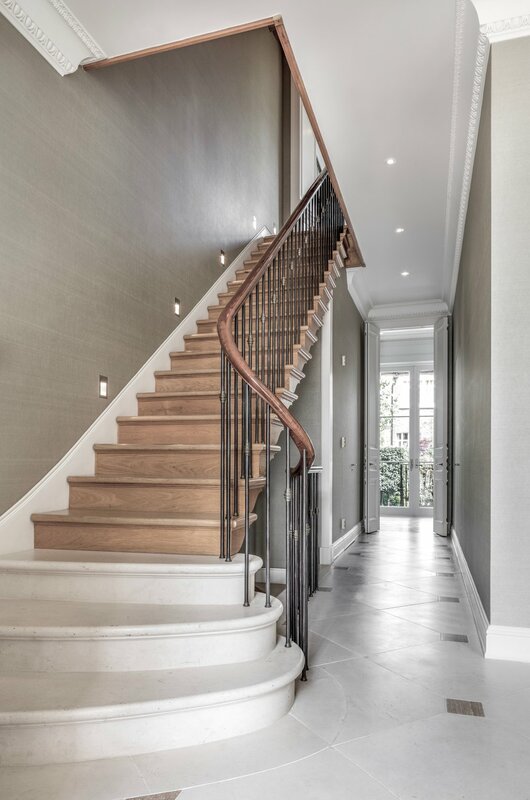 Our clients bought a large and beautiful house in Kensington which they wanted to update and change to meet their needs and those of their young family, whilst retaining the wonderful period details of the property. We reconfigured and redesigned the interior spaces to create 6 new bedroom suites and a series of elegant principle rooms. Working with our clients we sourced furniture, decorative lighting and soft furnishings from showrooms and galleries across Europe and New York to complete the bespoke interior design. We designed and installed bespoke cabinetry to create an elegant panelled study providing space for our clients to display their beautiful collection of antique books and artworks.